Never make a promise you can't afford to keep . . .
Half-fae Hedi has tried to live by this rule, yet however fast she runs, trouble tracks her down. So this time, she's meeting it head on. In the fae realm, a mage has imprisoned her twin brother Lexi, and she swore to set him free. However, to save Lexi she must find him, and her path is blocked by vengeful witches. 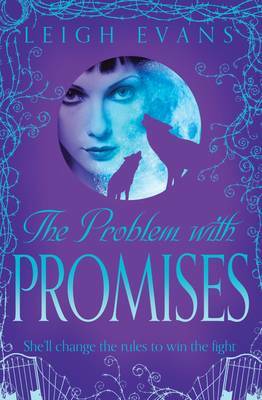 They must be challenged, but Hedi and her Alpha werewolf mate Trowbridge face a dangerous diversion. They've been framed as prime suspects in an illegal fae drugs trade - and the Council of North American Weres is now on their trail. Hedi must harness her talents to save those she loves. But once she claims her full powers, there will be no going back.